I can’t believe Christmas is already next week! And that means NYE is just around the corner! If you are looking for a fun holiday look, I love this romper from Morning Lavender with it’s pretty shimmery, gold color and fun, flowy shape! As you know I love wearing rompers (as yes the comforts of a romper outweighs the bathroom inconveniences in my opinion), so when I find a romper that works well for evening looks, I have to have it! I might even add black tights, booties and change to a leather jacket like this favorite leather jacket from Nordstrom to edge up the look even more. The husband and I don’t really have any crazy party plans this year but who knows?! All I know is that it has been an amazing, crazy, busy year so far and I am not quite ready to say goodbye yet! Faux Fur Jacket – Topshop – SOLD OUT (Got it on SALE from Black Friday!). I like this Sleeveless Faux Fur Vest from ASOS. 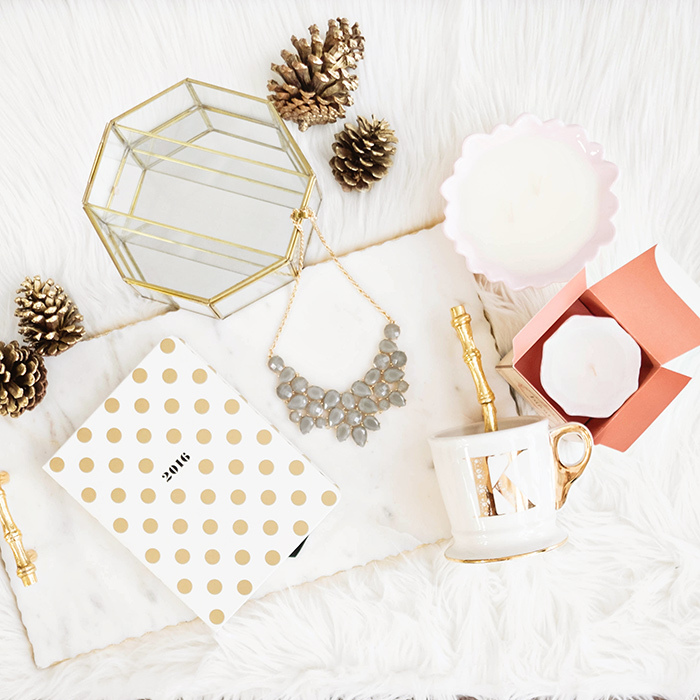 I can’t believe it’s December and I don’t know about you but I’m swamped with holiday decorating, gifts, making plans with family and friends and of course the usual work and life balance. So I apologize for the lack of new outfit ideas lately but there is just so much going on! I love dressing up for the holidays and this feminine look I put together consists of some great options from White House Black Market. I never shopped there that much before (remember when it use to just be white & black items?!) but every since I got these cute culottes, I have become a big fan of their petite sizes and staple pieces. They are having a winter sale right now so be sure to take advantage of their 30% discount on regular priced items! I love this pink midi skirt which would be a great year-round skirt to have.